The SpaceX Dragon cargo spacecraft was berthed to the Harmony module of the International Space Station at 8:12 a.m. EST. The hatch between the newly arrived spacecraft and the Harmony module of the space station is scheduled to be opened this afternoon. The capsule will spend about four weeks attached to the station. 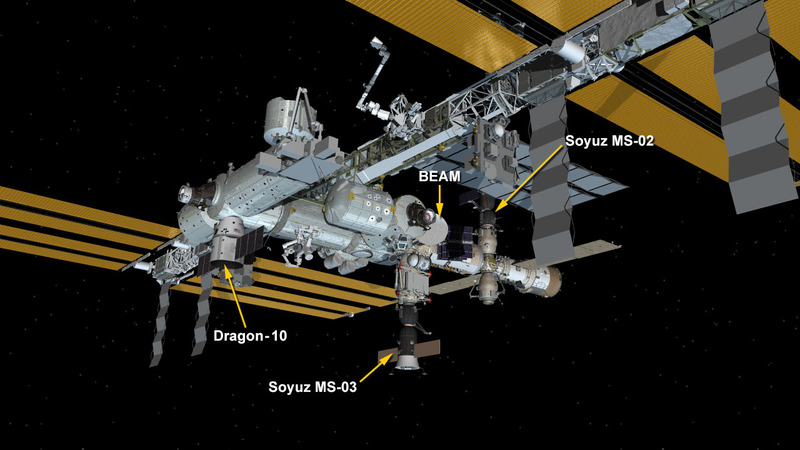 With Dragon now berthed to station, the Expedition 50 crew will focus on its next cargo delivery, which is scheduled to arrive in less than 24 hours. The Russian Progress 66 was launched on Wednesday, Feb. 22 from Kazakhstan. It will arrive on station Friday morning for an automated docking at 3:34 a.m. EST and remain on the station until June. NASA Television will cover its arrival beginning at 2:45 a.m. EST.